Fabricators Destination for Granite and Natural Stone. 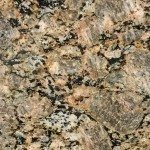 With over 2500 and 150 slabs of in-stock inventory, we are certain that you will find the right color for your project. Our showrooms are available for you and your clients to browse, and we are happy assist clients on your behalf. If you would like us to meet with one of your clients to help them select from our inventory, simply make an appointment or call us at 404-500-0023.